Property 51: Enjoy a carefree comfortable and well appointed holiday accommodation. Stunning beachfront location - studio situated in private, quiet garden setting. Property 54: Stunning beachfront location - studio situated in private, quiet garden setting. Two bedroom apartment in 4-star Hotel with Seaview and aircon! Property 64: Two bedroom apartment in 4-star Hotel with Seaview and aircon! Central Devonport, French country meets heritage in this garden view apartment. Property 77: Central Devonport, French country meets heritage in this garden view apartment. Property 81: Nearby shopping, waterfront restaurants & a vibrant arts & culture scene await! Apartment Central Oneroa, Amazing Ocean Views. 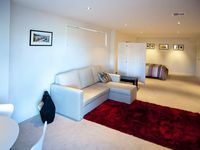 Property 83: Apartment Central Oneroa, Amazing Ocean Views. Property 86: 5 Star living in a Brand New 2 Bedroom Apartment! Be mesmerized by the views over Palm Beach and beyond on the open deck. Property 88: Be mesmerized by the views over Palm Beach and beyond on the open deck. Stay in a truly smart and comfortable Villa with the convenience of location. Property 91: Stay in a truly smart and comfortable Villa with the convenience of location. Seahaven - By the Beach - 20 steps to the beautiful Kohi Beach and waterfront. Property 94: Seahaven - By the Beach - 20 steps to the beautiful Kohi Beach and waterfront. Enjoy a cost-effective, quality, clean and comfortable stay on a prime position. Property 99: Enjoy a cost-effective, quality, clean and comfortable stay on a prime position. This is the perfect place for my trips to New Zealand. Danielle is super welcoming and friendly. 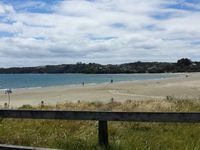 It's close to the beach, bus stop and it's a short drive to Gulf Harbour for the ferry to downtown Auckland. The flat is well kitted out and quiet. I would definitely recommend to others.